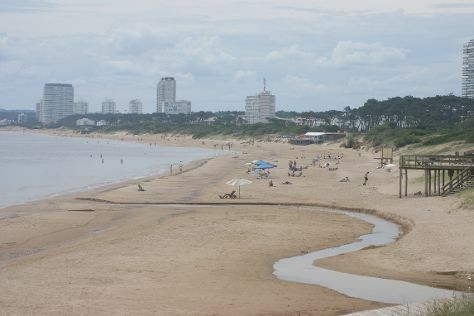 Visiting Playa Mansa and Playa de Jose Ignacio will get you outdoors. You'll enjoy a bit of beach vacationing at Playa Brava and Playa Montoya. You'll find plenty of places to visit near Punta del Este: Piriapolis (Playa Hermosa, La Reserva de Fauna, & more), Parque Salto del Penitente (in Minas) and Faro Cabo Santa Maria (in La Paloma). Next up on the itinerary: see the interesting displays at Museo del Mar, take some stellar pictures from Mirador Punta Ballena, take in the views from Puente Leonel Viera, and make a trip to Los Dedos de Punta del Este. If you are flying in from Argentina, the closest major airports are Capitan Corbeta CA Curbelo International Airport and Carrasco International /General C L Berisso Airport. In December, plan for daily highs up to 31°C, and evening lows to 19°C. Finish up your sightseeing early on the 7th (Sun) so you can travel back home.